Who doesn’t want to wake feeling better rested? Good news! It may be simpler than you think. Try out these 5 tips to help you bounce out of bed feeling more refreshed. 1. Learn how to relax and allow yourself time to unwind at regular intervals throughout your day. The inability to relax is a major contributing factor to sleeping difficulties and we need to be mindful of our levels of stimulation throughout or whole day, not just prior to bedtime. This includes managing stress, what we eat and drink and our visual diet too. 2. Develop a pre-bedtime ritual. Choose activities that unwind the mind and body in the hour before bed to pave the way for a better night’s sleep. This includes sleep cues like PJ’s you love, scent, listening to or reading something soothing, some yoga stretches or journaling activities to end the day on a positive note. 3. Work with your sleep window. 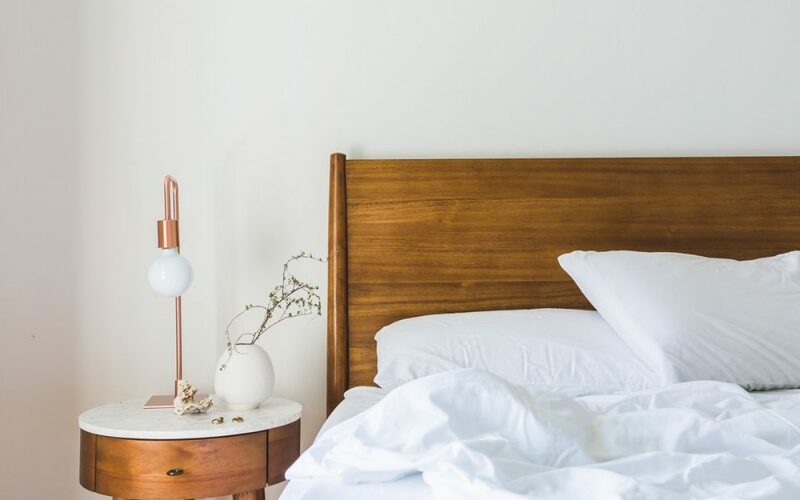 Get to know your own body clock, noting the number of hours of sleep you need to function well (for most people this is 7-9 hours) and the times that help you best drift off and rise feeling ready for the day. Once you are aware of your needs, be consistent and make getting to bed an active priority. Everything will wait for you and you will be more productive when you are better rested. 4. Don’t stress about being awake. If you have trouble drifting off or find it hard to get back to sleep, don’t worry about being awake. If you can’t sleep, just rest and if relaxing feels challenging then focus your attention on the sensations of your breathing. Sleep, rest, relaxation and natural breathing all stimulate the parasympathetic nervous system, helping you heal and re-energise. Don’t count the hours you’ve had or not had. You’ve got what you’ve got and you will sleep again another time. Self-care will see you through. 5. Upon waking in the morning, think of one thing that you happily anticipate in your day. Let your mind linger on it before you even think about getting out of bed. As your feet hit the floor, sit tall and feel the support of the earth beneath you. As you stand, you could spritz a little uplifting scent and take a few mountain breaths paired with the affirmation, I am grateful for this breath, this day, this life. Feel how this transforms the beginning of every day. If you’d like to explore any of these strategies in finer detail and to hear many more, come along to my workshop on May 7. You will learn ways of relaxing that take little time, even some activities that you can do at your desk or at the kitchen sink. We will look closely at relaxing the mind and body in building your own soothing pre-bedtime ritual and methods of helping you sleep when it feels illusive, including mantras and breathing exercises. You will leave the workshop armed with your own sleep-boosting toolkit, pre-bedtime yoga sequence and a divine L’Occitane goody, guaranteeing instant calm. Can’t make it to my neck of the woods? Don’t worry, let’s get really bespoke over Skype.